Work for Adobe Animate (formerly flash)? Learning about Adobe Animate (formerly flash)? I used to be an adobe animate user ever since its called adobe flash, its mainly only the name changed with the functions remains almost the same and with a few new added features. I mainly use Adobe animate for using web animations and character animations for videos. I always prefer animate over adobe after effects CC because of the frame by frame animation option, which gives you much more control and animation options. the workflow of Adobe products is the main reason why I chose the product over other animation software, you can easily draw vector articles or digital arts in photoshop and bring it to adobe animate for rigging and animation which is a great advantage. the interface is similar to other Adobe products so its comparatively easy to learn the software. the drawing tools are really good in the software and work well with Wacom graphics tablets. you can also easily backup your work to adobe cloud which is awesome. i had several issues with pressure sensitivity when I'm using the Wacom tablet to draw. the software is really costly so that's one of the downsides. Adobe animate is incredible animation software, one of the best, the cost of the software is a little high so you can take their trial and go for it if you like it. Adobe animate is an animation software. it comes with the adobe creative cloud suite which is really awesome cause it works smoothly with other Adobe products which make your work so much easier. "A great way to make animated short films/videos"
The new CC version is an upgrade from after effects and it's former version (flash). The new version helped us do a lot more in a more streamlined way that included animations with vector graphics and less of a need to switch between applications like AE and PS. It can also work with bitmap as well as vector graphics. We use this in conjunction with after effects to make short films about our products and it's design process through 2D animation. "Excellent software to start in the world of animation!" Although I have been using it for a short time, it is a software that has made the creation of animated videos and I enjoy it. It is not necessary that the creativity is your own, you can simply adopt the predetermined formats and in the same way your production will be impressive. Little by little I have been advancing on this subject and I really love it. Adobe Animate has achieved that I like it. I do not have years using this software and I still feel that I need to exploit it, well, I have not used all of its tools. However, with the creations I've made, the only drawback I've noticed is that sometimes I have trouble importing sounds. But, the rest, everything went very well. Excellent for beginners like me. If the world of animation and innovation draws your attention, it is in the right place. 100% recommended. I made animations and interactive content for the web and also introduced my colleagues. It has also helped me present innovative projects to my bosses. "Used For Legacy Signage - Another of my aspirations - Works Great"
I like that I can use Adobe Animate to make animations for our LED sign at our office. It is really difficult to get used to the software, and I still have to read my tutorial book to figure out how to do some of the animations. If you have a LED digital sign that needs updating, with the really old display software, Adobe Animate will help you. We have a large digital LED sign (like a billboard) outside our head office, which was not updated for many years. I was able to use Adobe Animate to make a new animation for it, which improved the company image and also fulfilled one of the ambitions I had of being an animator. "excellent software to make short animations in 2 dimensions"
"Adobe Animate For Hobbyists & Professional Animators"
What I like best about Adobe Animate CC is that it allows an artist, illustrator, designer, animator and/or a developer express him or herself in any way possible. The application is a blank canvas limited only by your imagination. I really can't say I dislike anything. No software is perfect and Animate has some flaws here and there. One such flaw is the way it handles Shape Tweening - the process of applying animation interpolation between keyframes for vector shapes. Often times the shape tween creates unexpected and undesirable results. But there are always work-arounds and getting the end results to work within Animate. Adobe Animate is constantly improving - maybe more so now than it has over its entire lifespan! I've always preached that anything you can draw can be animated - no matter how simple or complex. Animate allows you, at any level of skill, to create motion and bring your artwork to life. Animate allows me, as a visual story teller, to convey what a business is all about. As a result of being able to tell a visual story in a clear and concise manner, our business is better suited to attract clients. "A High Ceiling if You Can Find the Floor"
With the potential for so many moving (literally) parts, features like the asset Library and nested sequences are very appreciated. It's great to have the ability to edit an item in the library and have it change globally, or to separate complex sequences into top-level clips so one can more easily create transitions between shots or scenes. Plus it's all vector, so assets can scale up and down without a hitch. Options to display past and future frames in the timeline, in opacity or outline, are also a great aid to the animation process. With so much depth, it can definitely be a challenge to both learn and remember what's possible and how to achieve it. While illustrating with the Pen tool is possible a/la Adobe Illustrator, it's not as fleshed out as it is within Illustrator itself and outputs a little differently given how the program manages strokes, shapes and fills. As the mainstream animation software it's fairly simple to find support, information or tutorials. I've used Animate/Flash to compose animated loops for eventual export to Photoshop, which can output GIFs with better results. This system allows the user to create smooth web-ready animations for banners and the like, excellent for digital advertising or adding that personal touch to a digital logo or avatar. "Good Animation Software for Beginners"
I mainly do frame animation, so the ease of which I can accomplish that in Animate is unmatched in any other software I've tried. The flexibility of the horizontal timeline mixed with the layer system is familiar from the other programs in the suite, and makes it easy to move stuff around, and create new frames with a simple hotkey. The tweens are easy to create, and making a library of sprites is pretty easy as well. The userface is straightforward, as are the tools. With a graphics tablet and the onion skins I can work rather quickly when drawing individual frames, which can be a very tedious process. The fill tool, and the ability to edit the more natural looking curves of the vector artwork the brush tool produces is invaluable. The brush tool, in some ways, is the best brush I've used. However, there are painfully few options for it, and I really wish it was more robust. I only work with a select number of tools, but I've always found it hard to export gifs from Animate, and the bone tool has never been easy to figure out. If you already have Creative Cloud and are looking for a program to play around with frame by frame animation give it a shot. If you are a professional working on features, one of the other industry leading software programs would be the way to go. But then again, you probably already know that. Animate allows me to quickly do frame based animation and some vector illustration. "My Review of Adobe Animate (formerly Flash)"
- Needs a Proper Documentation for ActionScript 3! - Consider your needs, if you need a decent 2D animation software, then Adobe Animate is the right option! because the 3d feature in this software isn't that good. The main issue that we are trying to solve with Adobe Animate is to create animations for our game, and some quick 2d sprite design. Besides that, we also using Adobe Animate to create Trailer video for our game. "Still indispensable for 'traditional' 2D animation and illustration. " Personal favorite software for creating traditional 2D animation - a great digital equivalent to the old-fashioned "paper & light table" method. Also my go-to program for vector 2D illustration - works well with Wacom tablet to make clean, scalable artwork. Odd visual glitches and bugs that have been around forever...I always hope they're fixed with every new version, but they're still around. Animate/Flash alone can only do so much. Get After Effects as well - It should be used to actually put assets together and construct/edit scenes. AE is better for rendering as well. I rely on Animate/Flash when I need to create custom hand-drawn 2D animation in my motion graphics work. Being able to import .swfs into After Effects makes my life a lot easier. There are plenty of things to like about this software, but the one that made me love it from the start is the user-friendly interface and how easy is to learn even on your own. There are plenty of formats that can be exported to, and it is useful for doing mask and animations for video editing with little effort. The lack of options for the brush, the problems when exporting transparent gifs or the big size from alpha videos, the HTML5 options could be better and lack of stability on some projects. This is a nice 2D animation software that is easy to learn, and thanks to the export options there are other uses for it like vectoring or other types of basic animations. I have been using the software to do animations for videos, 2D graphics when it is faster than doing it in Illustrator and vector animations. "Best animation and design software out there." The speed of the program, with a decent computer, the program is very very fast and runs really smoothly. The versatility of the program. You can basically change the whole layout of the program with multiple preset layouts made for you or you can even make you own layout by just dragging everything around and everytime you get on flash it will be the exact same. The program is kind of pricey. Also I definitely dislike the fact that this program is utterly annoying when you've got a small display screen as they're are many things on your screen at once and it takes away a lot of space from your stage area. Before when I was using autodesk, I realized that I wasnt very pleased with it and that animate was so much more simple and premium. It saves me a lot of time everyday and my clients are happier as I can get everything to them much quicker. "Adobe Animate - Bless Life to your Creation"
I love its interface, it has every necessary tool in reach and wherever it is needed. I like the update of Adobe Animate CC after Adobe Flash. It supports smooth workflow and very good set of options. Easy to import as well as export. It supports the necessary importing formats like Adobe Photoshop and Adobe Illustrator files. I like Adobe Animate's feature of editing the stroke and the object differently. it is helpful many times when working, especially when animation a character in it. There is almost nothing which I may dislike. I just love whatever it is. But I sometimes find it difficult to work as it sometimes freezes in my system. If it is resolved somehow, it is perfect. Please use this software if you want to create a nice composition. It is the perfect platform for your creativity and imagination. It is worth your money, time and energy. I am a student and a part time CG artist. I use Adobe Animate for my student projects as well as for the works given to me by my clients. I started out using this when it was called Adobe Flash. For the most part, Animate is just as easy to use. It also integrates really well with Wacom tablets, so that was fun to play with as well. Sometimes there were glitches when I imported videos to rotoscope over, and usually I just had to restart the app or recreate the project several times before I could get it to work. I also feel like the brushes were pretty basic in terms of their settings. Some of them would look really glitchy even when I set the "smoothing" level to pretty high. At the end of the day, digital rotoscoping doesn't look quite the same as physical rotoscoping, and that means you will have to work a little harder to make sure that the animations you're producing move smoothly and naturally. Get your hands on it. Know what kind of projects you want to do and whether or not Adobe Animate can actually accomplish those projects, or else you will end up paying for something you can't really fully use. If your resources allow for it, explore the option to purchase a Wacom tablet. This can really speed up your process beyond buying the program itself. You can customize a lot of the settings on your tablet to match up with commonly used brushes or other tools on Animate. I used to only do rotoscopes manually, and Adobe Animate has saved me SO SO SO much time by letting me do this in one place. Simple and easy to use for newcomers or experienced animators. The software is continually improving and making adjustments geared towards professional studio quality. Sometimes can be finicky. Flash tends to forget about your shortcuts (even though they are still set to your custom preferences). Also, Flash likes to crash at the most inopportune times in my experience, and the scene comp is barely full. It's like it knows when you haven't saved in a while and that's when it decides to ruin your life. Provides more shortcuts and preferences that are quick and effective like "Exist with New Instance" shortcut etc. This saves a LOT of time and effort. "Very Nice For Animate and Make Some Games"
- Newer versions have a lot of great news to you to make great animations. - It's not a very lightweight tool, to run satisfactorily you will need at least an average PC. You can do a lot with this tool, but it is especially suited for those who want to make animations and in this regard it is one of the best in the market. This tool is very special to me because it was the first tool that i used to make animations and games (while working in an educational technology company). Actually i use for animate and to draw some sprites for my games. I also use it for make my game trailers. So no longer use more as used at the time i worked in the educational technology company. But it's still a useful and great tool.
" one of my favorite software to make animations in 2d"
I started working with flash from the mx version and have been learning and working with each of the versions that have come out, so I find it easy to use to create animations 2d, working with the timeline and the possibility of creating different scenes is awesome to make animated clips, vector drawing tools and the ability to import objects from illustrator and photoshop is very good for collaborative work. one of the things a little complicated to handle in flash is writing code action script because has changed version at different times and still not standardized this language also it lacks some tools for handling sound and video as it is limited in this aspect. While I do not use this program for regular drawn animation, I do find that it is so much fun to make simple interactive games as an artist. I started with Action Script 2.0, although it is not too hard to make the switch to 3.0. I feel that this program offers such a wide variety of interactive and entertainment possibilities. From webpages to TV shows! I have been trying and looking up so many tutorials on how I might better use the paintbrush and I still can't get it to act closely enough to Photoshop's more realistic hand-drawn strokes. Perhaps I am following the wrong step, but then I feel that it shouldn't be as much of a challenge as it is. I love the animation interface, but the drawing aspect still frustrates me. The best thing I can say to new users is watch online tutorials. This program looks simple on the surface but there are so many more capabilities in this program than initially realized. Also, it is important to understand the difference between using action script and animating. They are different interfaces! As stated before, achieving a more hand-drawn look is not the same as other programs. Most of the time tablets are being used, yet Flash doesn't totally recognize the hand's natural strokes yet. On the other hand, creating buttons, symbols, and moving symbols is so entertaining to both create as well as make live on websites for users to enjoy. "Let's make Flash great again!" I love that they essentially kept everything identical to the way it was. Although a change in name, it's certainly still Flash under the hood, and I love that. Why reinvent the wheel when this powerhouse of a software package already does everything and more than the competition? From pure animation to complex software creation, it literally has it all. "Ohhhh, but what about HTML5? Steve Jobs said that's the future!" Well, Flas.... I mean, Animate does that too. In earlier iterations, export to HTML5 was a bit cumbersome, creating an image for every one imported. Now, it neatly packages everything up into pixel perfect sprite sheets, removing the need to upload 300 separate images. What do I dislike...? Well, to be perfectly honest, I dislike that they had to rebrand what was already a great piece of software. Some dead guy in a turtle-neck decides to spout off one day and every hipster in the country just eats it up as gospel. Definitely give Animate a thorough evaluation. It meets and exceeds most of the needs we have and still manages to surprise us with hidden features after 10+ years of use. We develop eLearning for companies across the United States, Canada and Australia. In addition, we develop mobile, web and desktop games, all within a single software package. Being able to deploy to multiple file types with a few clicks saves us a lot of time and frustration. "Great tool for plenty of projects: animarions, presentations, games." - Action Script, because I can make games in it! Definitely worth buying when you want to create animations, AI/PSD support is very very helpful. Also you can make games in it, it has all the previous support of Action Script language, so you can easy jump on in from earlier versions of Flash, old projects will work like a charm. It's also good tool for making presentations, and if you can conclude some programming stuff, your presentation can be interactive. I'm helping my customers to present their products in original way, make presentations that are interactive, make cartoons that encourage to learn more of the product. It's great not only for creating marketing material, but also to create value content in itself (for ex. games). "Adobe Animate - web, games, animation"
There's not a lot to dislike in Adobe Animate. Perhaps the learning curve is quite high, but there are many tutorials available from within the software itself and on the web. I make animations and interactive content for the web and for e-learning. Adobe Animate provides a huge range of tools for creating this type of content quickly and with lots of features. Really this is a still a powerful animation tool and now that it works with html instead of flash we can still flex a bit of animation power when needed. It was a bit of a difficult transition but I love where this has ended up and where it is headed. Adobe still continues to deliver powerful tools for designers. When flash was finally phased out we were at a bit of a stale mate in terms of production, but thankfully this has provided us with a great tool for use. When I was learning, it was relatively easy to get the basics and be up and running quickly. I love working in Vector so creating characters by drawing straight into the software is excellent. Editing keyframes is very straightforward. Always enjoyed creating symbols for animation. It's simplicity is it's best feature. Editing keys is a breeze. Although many studios are now using other software, some still use Animate because they were used to Flash. Doesn't have as many effects as a program like After Effects does. It does suffer from lag when saving large animation files, although it's definitely better than it used to be. Exporting files can be tricky depending on the format. Needs to sync better with Photoshop and Illustrator. The program is much more layered than it used to be as Flash. It's ease of use can be deceiving, there is a lot more to the program than when it was simply Flash, so don't hesitate to explore all the features. It still doesn't have all the features of After Effects, but has a simpler workflow. Many animation and game studios still use the program for their projects, so it's beneficial to learn. It's a great program for doing simple animations. I tend to create most of my assets in Photoshop or Illustrator so it's really helpful that files are importable. The learning curve to get up and running is not as steep as something like After Effects. "Fun Program for Making Fun Animations!" Flash is not too difficult to work even without much experience (although taking something like college courses does help significantly). Creating an animation is easy, especially if you're doing something simple like a frame by frame animation. Making an interactive animation takes a little more work and knowledge to do. Actionscript allows you to make games and other interactive animations. Pictures and artwork can be imported easily if you rather draw it outside of Flash. It's an easy program to work with but can be difficult to understand. If you have no background in coding, Actionscript in particular will be difficult to work with if you plan on making animations with interactions. Drawing in Flash isn't the greatest in my opinion. There aren't many options when it comes to creating various art styles as it automatically turns everything into a vector drawing. Drawings would have to be imported if you want a particular look to your animation. It also can run slow at times, especially when you're trying to preview an animation. It sometimes crashes, but not often. Best to take some classes or view some tutorials online to learn how Flash works. It's not the hardest program to work with but it can be confusing when working with certain things. It's the easiest way to make a simple 2D animation with high quality. Some of the more recent changes have been a great step in the right direction, and I hope that soon they will catch up with the likes of Toon Boom, as least in drawing tools. Drawing tools are woefully behind the times. Just about any other animation program is better than Animate in this regard. Animating in this program is painful, sloppy and clumsy. There are no animation tools that help much besides onion skinning. If you are getting the whole Adobe subscription package, it's fine. It's much easier to use than Photoshop's animation tools if you want to do quick animation - or even just to flesh out some gestural animation to then clean up in another program. But what Animate is really essential for is actionscripting. The debugging tools and the user-friendly scripting interface makes learning the coding language not difficult, even for beginners. The vector tools are easy to use (and have improved greatly over the years) and it's still my go-to program for web banner production. It doesn't seem to be able to utilize enough system memory so tends to crash often when used for prolonged periods. The back and forth between Animate and Illustrator makes for easy workflows when dealing with vector assets. I like the stage that is also the desktop, it's good for importing digital images for use. Get the digital program for your needs. "The only program to animate in vector"
Adobe animate (formely flash) is the only program that you can animate in vectors. It is not easy or intuitive to use. 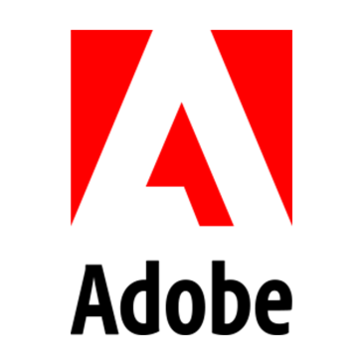 It is an adobe program unlike any other. When you work with vectors it does not look like adobe illustrator, and when you work in animation it does not look anything like after effects. It is difficult and laborious to work. It does not support other adobe programs. Adobe animate is difficult and laborious program. Bad compatibility with other adobe programs. It is the only program that you can animate in vectors. Not the best, but the only one. "Good in someway, but there is a major bug in Animate"
I like that I can finally use the brush zoomed or of zoomed in and the the thickness does not change. The brush tool not locking to a size has been the bane of using Flash since it's begin. Now, when I work with other people i can tell them which brush size to use and say "use the 3rd brush down at 200%" which is a pain and the line width never looked the same form artist to artist. There is a major bug in this program. Whenever a widow pops up to save or change settings, the cursor can not click on options. For example if i close a file and decide to not save I must use Tab select "No" and then "Enter". This isn't so bad, but if I want to create symbol as an image instead of movie clip- i can not change the option with using a mouse. "Animate goes downhill in a Flash"
The interface and usability is essentially the same as the past few versions of Flash. Drawing with the brush tool (with a pressure sensitive pen) is still great. Weird glitches like objects inside a group slide out place while scaling the size of the group. Color selection is still wonky. Why can't color selection be as good as it is in Photoshop? Not seeing any real upgrades with this version. I actually prefer older versions of Flash to Animate. I mostly use Animate for graphic design and illustration. And sometimes I actually use it for animation. You can do animations, but simple animations. For web design it is not very efficient. In my experience it is very limited. Nowadays thera are a lot of new and different softwares to animate and do same things like flash, easier and faster. Also is not supported on many devices, is an outdated software. With Animate you may be able to do some animations. "An upgrade to Flash Professional"
"Great animation tool for 2d effects"
The user interface is kind of convoluted. "Animate is an excellent program." I love how easy it is to use and integrate with illustrator. When expanding fills, and adjusting shapes..it can still be quite glitchy and breakable. I use Animate every day in my job and have been for the past 6 years. Bringing your artwork to life is pretty easy once you learn the basics. It’s pretty overwhelming when you first get into the software, they could label things a little better. "Great easy to use, and fast software." I dislike how slow it can be sometimes but most of the time is very fast. It is great but be patient. I used this as a school project, take your time, and it will turn out great. Animate some advertisements or in my case a school project. I like most is 2D Animation. Very useful for infographics. The sound tracking is little difficult. "Excellent vector based animation tool"
Excellent tool, you'll love it for everything from web to movie motion graphics. Enabled ease of animation generation and web based story telling. "Difficult at first, but worth it in the end"
The ability to make animations come to life. Simple to learn and easy to adjust existing projects. Challenging adapting to it because many of the typical Adobe conventions are not the same. Make commands and tools more similar to After Effects or other adobe programs. It is good for creating online ads quickly and easily. "Not a favorite for aimation"
It's a good product if you are an expert, but as a beginner, not easily understandable. I just never got a grasp of it, I will never be possibly. Honestly? I am not solving anything with it. "Outdated technology barely hoping to hold on"
It's the only software you can create SWF files in for google ads. The flash format is incredibly outdated, this software still behaves like macromedia flash and has outdated keyframe capabilities. Don't. focus on HTML5 instead. We need to support legacy advertising types. * We monitor all Adobe Animate (formerly flash) reviews to prevent fraudulent reviews and keep review quality high. We do not post reviews by company employees or direct competitors. Validated reviews require the user to submit a screenshot of the product containing their user ID, in order to verify a user is an actual user of the product. Hi there! Are you looking to implement a solution like Adobe Animate (formerly flash)?